We tried proposing sessions in the form of questions this year, Jeopardy-style! 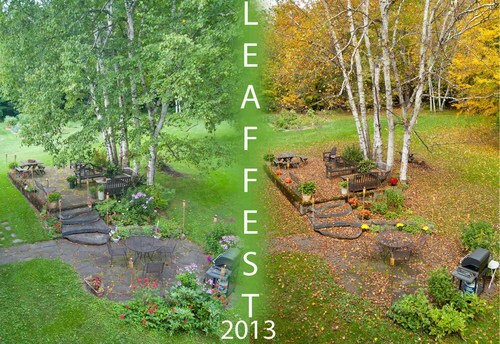 LEAFFEST is an open gathering of the Public Lab community to work on environmental tools and share ideas about environmental science and activism. Projects this year will include Infragram photography, development of the online tool Infragram.org, pole aerial photography, characterizing the spectral response of Infragram cameras, and topics yet to be determined. What is Infragram photography and why should I do it? How do you do it? Bring a camera with the IR block filter removed and we will convert it to Infragram! Taking Infragrams -- We will capture some Infragram photos and process them to test hypotheses about patterns of plant health we observe in the yard. Advanced topics -- Several experienced Infragram developers will be present. What do you want to know from them? Content: Ned will demonstrate how to take photos from 10 m above the ground. He will explain his system of remote camera control, live video feed from the pole mounted camera, and his attempts to quantify the ground area captured by the camera for vegetation analysis. All participants will receive a free photo of the top of their head. Content: Infragrammar is a new way to interact with Infragram photos to explore how Infragram works and how to extract meaning from the derived images. Jeff will demonstrate how entering statements at the Infragram Sandbox in his simple language can harness the power of Infragram to reveal patterns of plant health and discover new uses for the technology. Content: To better understand how to interpret Infragram photos, we need to describe how cameras capture infrared light. Don will demonstrate an experimental approach to tracing how near infrared light makes its way into the three color channels of consumer digital cameras (or does it?). Lodging: There is plenty of room to camp in the yard and surrounding woods, and a some floor space inside. Rideshare: Here is a Google Doc for matching up riders and drivers. .